Mike Mignano is the Co-Founder & CEO @ Anchor, the app that allows you to share and engage with your network via audio, essentially radio for the people. Prior to founding Anchor, Mike was Head of Product @ Aviary, prior to it’s acquisition by Adobe. Anchor was one of the hottest products at SXSW this year and has received funding from our good friends at Homebrew, SV Angel, Betaworks, Eniac Ventures, Scott Belsky and many more. 1.) 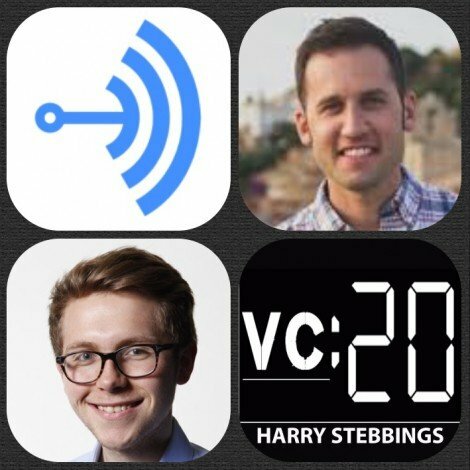 How did Mike come to found one of the hottest new audio startups, Anchor? 2.) Why have we seen such a renaissance of podcast listening? Will this continue in the long term future and if so, what will drive the long term future growth? 3.) How did Mike use the beta testing phase to learn and iterate on customer behaviour? Following this, how did he implement this feedback to create a community that could be harnessed on launch? 4.) When examining alongside Sarah Tavel’s hierarchy of engagement, how does Mike address retention and the creation of virtuous loops within Anchor? 5.) How does Mike fundamentally attempt to menthes Anchor? At what level of growth can the cash taps be turned on? How can Anchor be made to be revenue generating for both the platform and content creators? As always you can follow The Twenty Minute VC, Harry and Mike on Twitter here! John Frankel is the founding partner of ff Venture Capital and has been an early-stage investor since 1999. He has served on the boards of more than 35 companies and has led investments in more than 80 companies, including Cornerstone OnDemand (CSOD), Indiegogo, Ionic Security, Unikey, Socure, Skycatch, Plated, 500px, Distil Networks, and Bottlenose. Prior to founding ffVC, John worked at Goldman Sachs for 21 years in a variety of roles that involved technology development, reengineering and capital markets. At Goldman Sachs, he worked closely with some of the world’s leading hedge fund managers and developed a keen understanding of emerging technologies and portfolio risk/return management. 1.) How did John make the move from Oxford grad to NYC venture capitalist? 2.) How has the massive decrease in startup costs affected the seed funding environment? How does David identify the startups he invests in with the plethora that are now available? 3.) How much of an extent is portfolio a branding tool for VCs? In recent years we have seen the rise of the operational VC model with the likes of Andreesen, will this continue as a prominent model in VC? 4.) How as a seed investor does John advise his founders when chasing a valuation that will only lead to a down round? What is John’s views on the dreaded down round? 5.) Many companies pivot in the process? Does John like to see pivots? If pivoting what is it important for founders to remember and focus on? 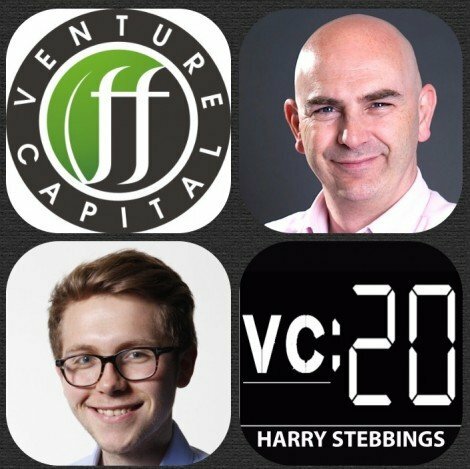 As always you can follow The Twenty Minute VC, Harry and John on Twitter here! James Wise is a partner at Balderton Capital, one of Europe’s leading early stage venture funds with $2.5B in funds. The youngest partner at a Series A fund in Europe, at 29 James has already led on deals including the likes of Crowdcube, SketchFab, 3D Hubs, Sunrise and Workable amongst others. He discusses his unusual background, coming into VC after previously setting up and running a charity, why he thinks geography matters less than every and why he continues to focus on areas in healthtech and edutech as well as many other emerging sectors. 1.) 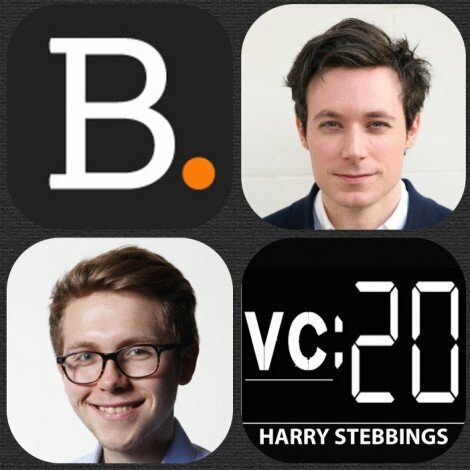 As Europe’s youngest venture partner, is venture capital a viable career going forward? What makes James say this? Has there been a time when you doubted this thesis and why? 2.) So it is a viable career, where do we go from here? Why should we choose venture in Europe over venture in the US? What are the inherent pros and cons? Does James get the itch to head to the Valley? 3.) So VC in Europe is the place to be, so why did James choose Balderton? There are a plethora of great and emerging funds in Europe, what attracted James to Balderton? 4.) What does the next 10 years of VC look like? Where we are heading? Although a viable career now, will this continue to be with increasing power of crowd sourced financing and decreasing startup costs? 5.) What advice would James give a young individual looking to get into the industry? How can an individual show their passion and inherent interest for VC and startups in a tangible way? As always you can follow The Twenty Minute VC, Harry and James on Twitter here! Nicolas Dessaigne is the Co-Founder and CEO @ Algolia. Algolia are a brilliant case study for the successful pivot, having started off life as an offline search engine for mobiles but really took off by helping companies deliver an intuitive search-as-you-type experience on their websites and mobile apps. They participated in Y Combinator’s Winter 2014 batch and raised $18.3M in May 2015 from the likes of Accel Partners, Point Nine Capital, Storm Ventures and many more incredible investors. 1.) How did Nicolas make his way into tech and come to found the likes of Friendster and Algolia? 2.) How did Algolia go about crafting their company culture and how have they approached maintaining it as they have gone into hyper growth mode? 3.) What des Nicolas think are the most common challenges with regards to the building and maintenance of a company culture? What pitfalls and advice would Nicolas give to an early stage founder looking to build that culture from the offset? How can investors determine the strength and sustainability of the company culture when viewing startups? 4.) How was the fundraising process for Nicolas? How did the rounds differ from round to round? What elements surprised or challenged him? For Algolia, an incredibly hot startup, how did Nicolas go about about selecting which investors to have? 5.) Talking of the highly competitive round and the very excitable startup community, how do you respond to all of this insane hype and positivity. How do you ensure that you do not fall into the trap of drinking your own cool aid and remain grounded and humble? 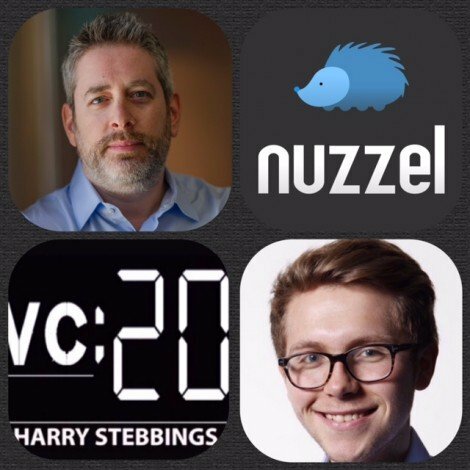 As always you can follow The Twenty Minute VC, Harry and Nicolas on Twitter here! 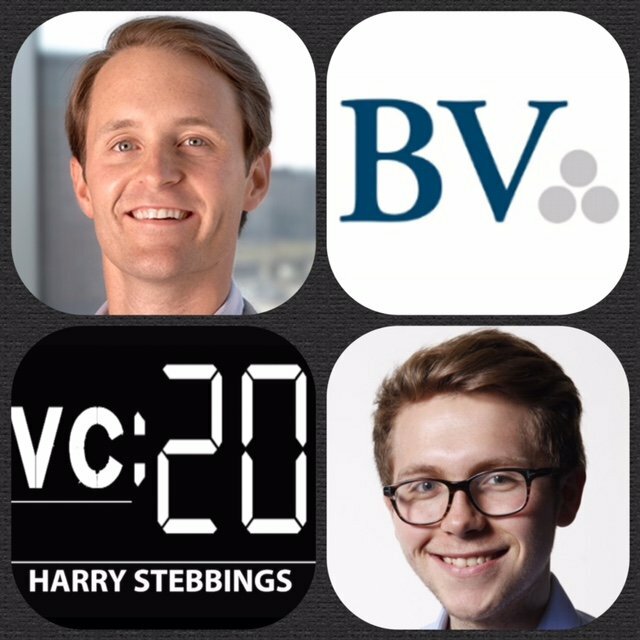 Logan Bartlett is an investor @ Battery Ventures, where he focuses on growth investments for B2B software companies. He is currently involved in Battery’s investment in Pendo and StreamSets. Before joining Battery, Logan was in investment banking with Spurrier Capital Partners, a boutique merchant bank focused on the technology sector. There, he sourced application-software deals with a focused on the marketing-automation sector as well as sales force automation, human-capital management, work management/collaboration, front-office analytics and data-services companies. Prior to that, Logan served as an investment banking analyst at Deutsche Bank focusing on financial technology. 1.) How Logan made his way into the wonderful world of venture capital? 2.) So as young chap entering the industry, I would love to hear how you have gone abut trying to build your brand and identity? What are the key personal marketing strategies for you? How important do you think the brand of the VC is? How do you address the juxtaposition of branding and marketing yourself and battery? 3.) How does Logan approach the deal sourcing aspect of the job? What is his approach to this vital thesis? 3.) Moving to more financial matters I want to address both the seed end and the later stage end of the market today. So starting with the seed funding environment, in recent years we have seen a massive drop in the cost of company creation in conjunction with a large rise in seed funding,. What is the effect of this for you as a Series A-B investor, potentially located in what some may call the funding gap? 4.) You are very much located in the B2B space, d I am intrigued wht kind of ARR do you look for at the stage you are investing and what price point per customer do you believe allows for that ARR metric to be hit within a reasonably short amount of time? 5.) Moving to the later stages of the market I have seen in a slide of yours from the past that you stated that more institutional investors have made their way into the private markets and startups are staying private longer. You followed up by staying that this is a win win for all? Why do you think that is? Does it not mean later stage VCs are priced out of rounds due to the inflow of public money? Does it not mean later stage startups attain inflated valuation that will only lead to a down round at follow on or IPO? 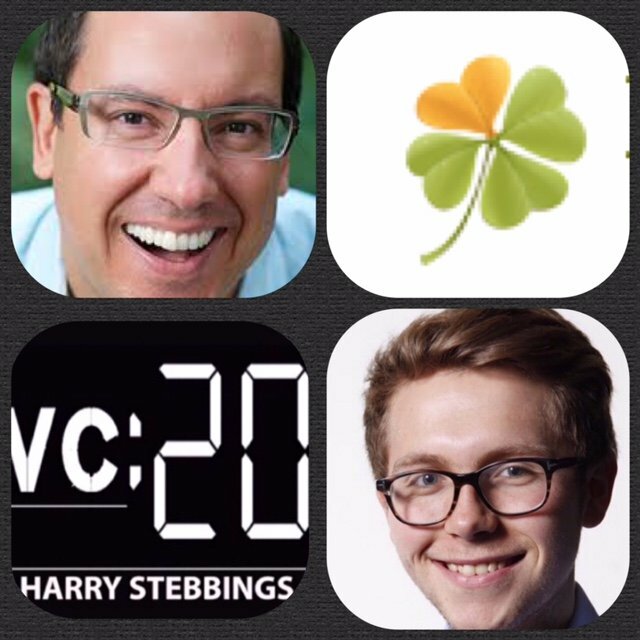 As always you can follow The Twenty Minute VC, Harry and Logan on Twitter here! Neeraj Agrawal is a general partner at Battery Ventures investing in SaaS and Internet companies across all stages. He was a founding investor in BladeLogic in 2001 and has invested in several other companies that have gone on to stage IPOs, including Bazaarvoice, Guidewire Software, Marketo, Omniture, RealPage and Wayfair. His current, private investments include AppDynamics, Catchpoint, Chef, Cohesity, Coupa, Glassdoor.com, Nutanix, Optimizely, Pendo, SmarterHQ, Sprinklr, StellaService, Tealium and Yesware. For the last six years, Neeraj has been recognized on the Forbes Midas List, which ranks the top 100 venture capitalists in the world. 1.) How Neeraj made his way into the world of VC? 3.) How can early stage Saas founders determine the extent to their product market fit?? 4.) What is it like to back rocketships like GlassDoor or Marketo and helping scale operations when you’re in hyper growth mode? Does Neeraj agree with Sheryl Sandberg’s statement, it doesn’t matter where you sit, as long as you have a seat on the rocketship? 5.) Neeraj previously stated in a Nasdaq article that it is all about the team and the market. What are Neeraj’s thoughts on VC founder alignment? Neeraj also places emphasis on the market, so how does Neeraj view the juxtaposition between current and future market? 6.) One hurdle preventing some companies from growth is the ability to attain later rounds of funding so as a largely Series B investor, why is raising a Series B so tough? Is it the embodiment of the funding barbell? 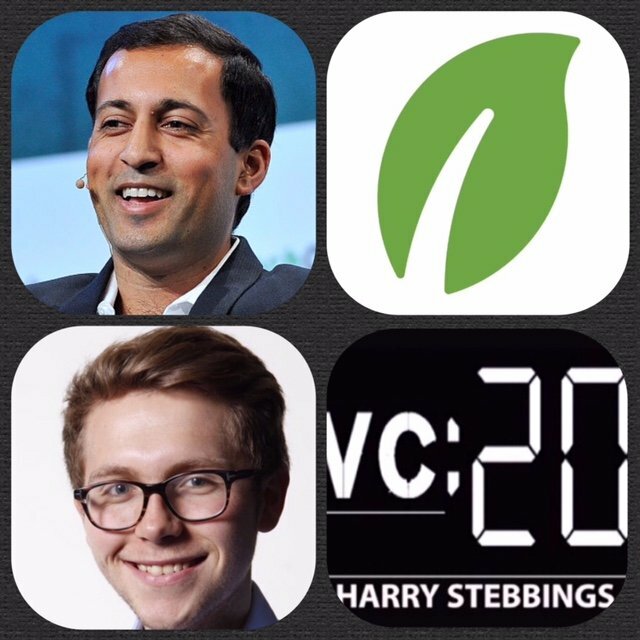 As always you can follow The Twenty Minute VC, Harry and Neeraj on Twitter here! 1.) How did Jonathan make his way into tech and come to found the likes of Friendster and Nuzzel? What were his biggest lessons from working at Netscape? 2.) How can founders determine the customer stickiness and value proposition in the early days of product testing with friends and family? 3.) How does Jonathan view the competitive landscape for news aggregation? Why is consumer app such a competitive space? 4.) Question From Matt Mazzeo: How does Jonathan compare this moment in time to previous points in the innovation curve? 5.) Having worked with both the old and the new guard of VC, how does working with Lowercase, Homebrew and Softtech compare with the old guard of Benchmark and Kleiner Perkins? 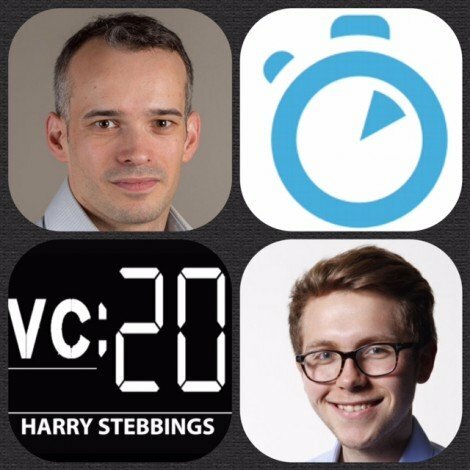 As always you can follow The Twenty Minute VC, Harry and Jonathan on Twitter here! Roy Bahat is the head of Bloomberg Beta, a new venture fund backed by Bloomberg L.P. Prior to Bloomberg, Roy was chairman of OUYA, a new kind of game console, where he was the first investor. Before that Roy spent five years leading News Corporation’s IGN Entertainment, an online media company with a monthly audience of 70 million people, a top 10 YouTube channel, and the leading website in its category in almost every market globally. Roy served on the board of Revision3 (acquired by Discovery) and was a board observer at Flixster (acquired by Warner Bros). Before joining News Corp., Roy was in the public sector in the office of New York City mayor Michael Bloomberg and at New York’s 2012 Olympic bid. 1.) How Roy made his way into the world of VC from working alongside Mayor Michael Bloomberg? 2.) What do all these definitions within AI mean? What does artificial intelligence include? What is machine learning? What is deep learning? 3.) When we talk about AI are we talking pure AI , with the likes of Watson and DeepMind or are we talking consumer centric software with elements of AI? 4.) With data playing such a huge role in the efficiency of AI, do large incumbents like Google and Facebook not have a massive advantage? How can startups get access to datasets? Is AI not fundamentally an acquihire industry? 5.) How important has open source in allowing and encouraging the progression of the machine intelligence ecosystem? What more can be done to further it’s growth? 6.) With the rise of machine intelligence, what does the future of work look like? How will we live in a world where 47% of white collar jobs will be replaced by machines and AI? As always you can follow The Twenty Minute VC, Harry and Roy on Twitter here! 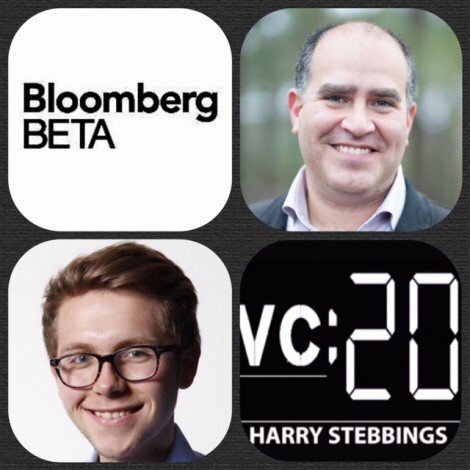 20VC: Felicis’ Aydin Senkut on Scaling Felicis From $4m to $120m, Doing Venture Differently and Why Being A VC Is Like A Jamaican Bobsled Team! Aydin Senkut is the Founder and Managing Director of Felicis Ventures. An original “super-angel” investor, he was named to Forbes’ 2014 and 2015 Midas List and previously appeared as one of the top 15 tech angels by Businessweek. Aydin is well-known as an early backer of a number of iconic companies including Shopify (NYSE:SHOP), Fitbit (NYSE:FIT), Adyen, Clearslide, Credit Karma, and Rovio. More than 55 Felicis companies such as Brightroll, Climate Corp, Dropcam, Twitch, and Meraki, have been acquired by industry leaders such as Google, Amazon, Cisco, Apple, Microsoft, AT&T, Disney, Yahoo and Ebay. 1.) How Aydin made his way into the world of VC from being a Senior Manager @ Google? 2.) What does Aydin suggest to all those looking to make the move into VC who have potentially, an unconventional background?? 3.) What caused Aylin’s shift from angel investor to VC ? What was Aydin’s investment strategy look like at the beginning and how has that evolved over time? How does Aydin look to differentiate Felicis from the plethora of seed funds? 4.) How does Felicis’ stage agnosticity work in practicality for Aydin and the fund itself? How much of a role does valuation play in Felicis’ investment decision making? 5.) Question from Rob Hayes @ First Round: How did the Rovio investment come about? Why do you say you are most proud if it? 6.) Question From Hiten Shah: How do you approach the topic of growing the organisation, whilst still supporting founders with the same time and quality? As always you can follow The Twenty Minute VC, Harry and Aydin on Twitter here! Gagan Biyani is the CEO and Co-Founder @ Sprig, on a mission to build the world’s largest restaurant providing healthy and sustainable food. Sprig has attained funding from the likes of Greylock Partners, Accel and Battery Partners. Prior to Sprig, Gagan was the Interim Head of Marketing @ Lyft, where he wrote the first Lyft new market launch playbook and launched Lyft LA. Before that Gagan, was the Co-Founder and CEO of the world’s largest online teaching and learning marketplace with the founding of Udemy. 1.) What was the origin story for Sprig? What was the aha moment? 2.) Question from Josh Elman: What lessons have Sprig and Gagan learnt from Chipotle, both in terms of their growth and their food? 3.) What are the coolest things that Gagan has learnt about foods that have learnt and not worked from user and product testing? 4.) On TWIST Gagan stated that the food delivery market is a winner take all market , so what makes Gagan believe that and what will ensure that Sprig is the startup that will be victorious? 5.) How do Sprig address expansion theory? Are they the Uber or the Lyft in terms of aggressive market expansion? How do Sprig choose which new market to enter? Is there a scientific approach? 6.) From having raised 9 rounds of VC and angel funding, what are Gagan’s biggest tips and takeaways to anyone entering the VC or funding process? As always you can follow The Twenty Minute VC, Harry and Gagan on Twitter here! 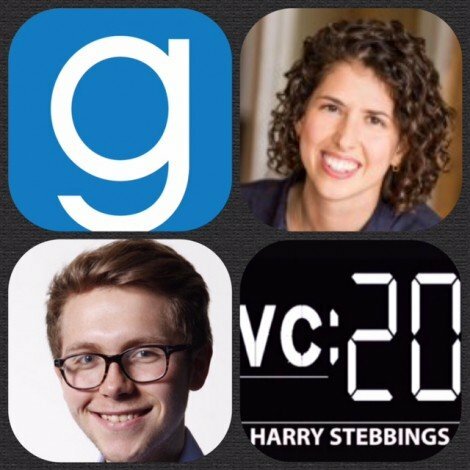 Sarah Tavel is a Partner at Greylock Partners. Prior to Greylock, Sarah was a product lead at Pinterest. As one of the first 35 employees, her first order of business was to launch Pinterest internationally and close the Series C financing. Sarah then moved into product, becoming Pinterest’s founding PM for search and discovery, and launching Pinterest’s first search and recommendations features. She also led three acquisitions as she helped the company scale through a period of hyper-growth. Sarah joined Pinterest in 2012 after co-leading the Series A investment while at Bessemer Venture Partners. She spent six years at Bessemer, investing in a wide range of businesses from Quidsi to Cornerstone OnDemand. 1.) How Sarah made her way into the world of VC from selling ads in college? 2.) What is the deal sourcing story behind your sourcing of Pinterest for Bessemer? What made Sarah so excited about the product? At what stage did Sarah realise the huge potential Pinterest did have? 3.) How did Sarah decide Greylock was the right VC to choose over the plethora of other options? 4.) How does Sarah try and appeal to the inner founder? What does she do to make sure she is the first person they call? What forms of communication does Srah like to communicate with? 5.) What is Sarah’s attitude to VC’s personal brand? How has Sarah seen the personalisation of VC in recent years? Why the shift from blog to Medium? 6.) What is the most important attribute for a consumer product to have? Does it have to be both 10X better and cheaper? 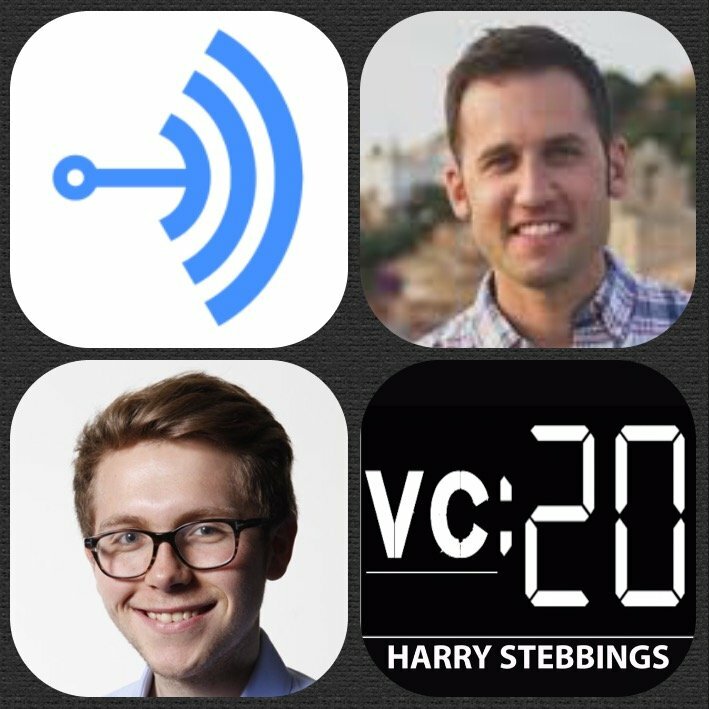 As always you can follow The Twenty Minute VC, Harry and Josh on Twitter here! Josh Elman is a Partner at Greylock Partners, which he joined the team in 2011 and invests in entrepreneurs building new consumer products and services. Josh specializes in designing, building, and scaling consumer products, having been part of multiple companies that have grown to more than 100 million users. Before joining Greylock, Josh was the product lead for growth and relevance at Twitter, growing Twitter’s active user base by nearly 10x. Prior to Twitter, Josh worked on the platform at Facebook and was an early employee at LinkedIn helping establish models for user growth and launched v1 of LinkedIn Jobs. Josh currently serves on the boards of Medium, Meerkat, Operator, Discord, and Jelly. 1.) 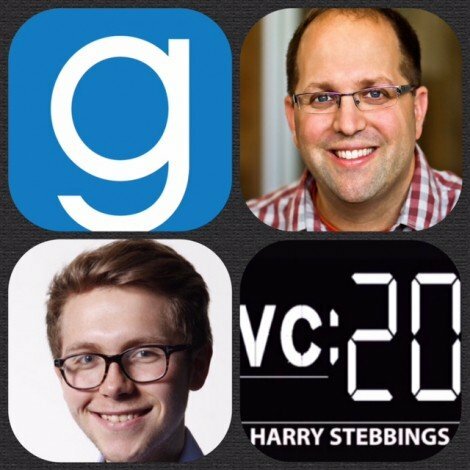 How Josh made his move into the VC world from Twitter, Linkedin and Facebook? 2.) What were the biggest takeaways of watching fb, Linkedin and Twitter to hyper growth mode? 3.) Question from Jeff Seibert: What would Josh do with the Twitter product today?? 4.) How would Josh apply his principles of the on boarding process to Twitter? What does he mean when he refers to the ladder of engagement? 5.) How does Josh respond to Fred Wilson’s out on the consumer downturn? Is consumer really as hard as Fred makes it out to be? What sort of metrics really get Josh excited when viewing consumer startups? 6.) How has Josh’s own investment decision making process been honed and refined since joining Greylock? Baiju Bhatt is the Co-Founder and CEO at RobinHood, the wildly successful stock market trading app with absolutely no commission fees. 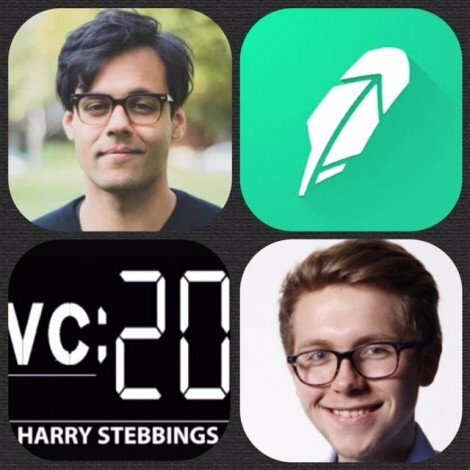 Since launching RobinHood there have been many amazing milestones including being awarded an Apple Design Award (first Finch company ever to achieve this), funding from the likes of Index, Google Ventures, Andreessen Horowitz and even movie star Jared Leto. They were also nominated for best mobile app at The Crunchies by TechCrunch this year. 1.) How Baiju made his way into the world of tech and came to be Founder @ RobinHood? 2.) How did Baiju deal with the regulatory hurdles heading into the fintech and trading world? 3.) How did Baiju go about building the waitlist for RobinHood to 1m people? What were the defining strategies and channels that made the difference? 4.) What is the thesis behind the decision of RobinHood? Will this design enable previously untouched markets to tap into the growing trading market? 5.) What are the biggest challenges for Baiju and RobinHood going forward? What keeps Baiju up at night? What is Baiju’s biggest piece of advice to a founder scaling their startup? 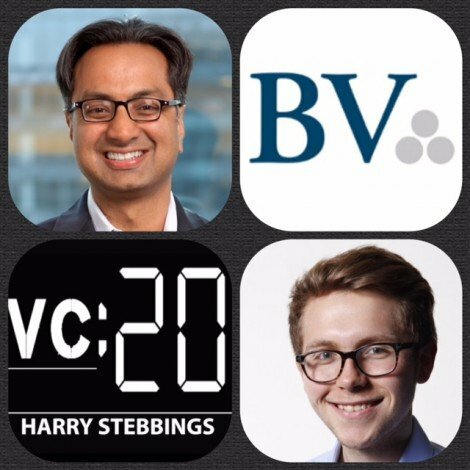 As always you can follow The Twenty Minute VC, Harry and Baiju on Twitter here!